Whose cooperation will we need? Whose agreement or approval will we need? Whose opposition would keep us from accomplishing the project? Many project managers find it helpful to draw a map of these network building dependencies. For example, the figure below contains the dependencies identified by a project manager responsible for installing a new financial software system in her company. What differences exist between myself and the people on whom I depend (goals,values, pressures, working styles, risks)? How do these different people view the project (supporters, indifferents, antagonists)? What is the current status of the relationship I have with the people I depend on? What sources of influence do I have relative to those on whom I depend? Once you start this analysis you can begin to appreciate what others value and what network building currencies you might have to offer as a basis on which to build a working relationship. You begin to realize where potential problems lie—relationships in which you have a current debit or no convertible currency. Furthermore, diagnosing another’s point of view as well as the basis for their positions will help you anticipate their reactions and feelings about your decisions and actions. This information is vital for selecting the appropriate influence strategy and tactics and conducting win/win negotiations. 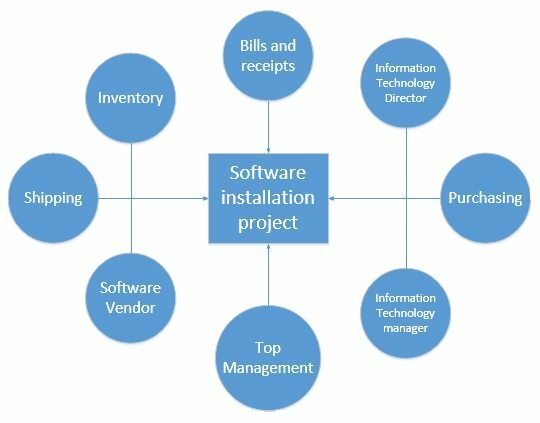 For example, after mapping her dependency network, the project manager who was in charge of installing the software system realized that she was likely to have serious problems with the manager of the receipts department, who would be one of the primary users of the software. She had no previous history of working with this individual but had heard through the grapevine that the manager was upset with the choice of software and that he considered this project to be another unnecessary disruption of his department’s operation. Prior to project initiation the project manager arranged to have lunch with the manager, where she sat patiently and listened to his concerns. She invested additional time and attention to educate him and his staff about the benefits of the new software. She tried to minimize the disruptions the transition would cause in his department. She altered the implementation schedule to accommodate his preferences as to when the actual software would be installed and the subsequent training would occur.In turn, the receipts manager and his people were much more accepting of the change, and the transition to the new software went more smoothly than anticipated. 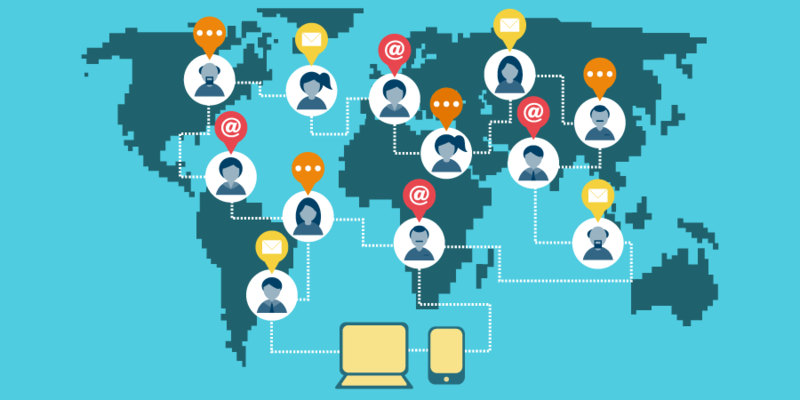 The preceding example illustrates the next step in social network building. Once you have established who the key players are that will determine success, then you initiate contact and begin to build a relationship with those players. Building this relationship requires a management style employees at Hewlett-Packard refer to as “management by wandering around” (MBWA) to reflect that managers spend the majority of their time outside their offices. MBWA is somewhat of a misnomer in that there is a purpose/pattern behind the “wandering”. Through face-to-face interactions, project managers are able to stay in touch with what is really going on in the project and build cooperation essential to project success. You can read a more detailed article on Management by Wandering Around network building method here. This is a very important network building opportunity. Research consistently points out that project success is strongly affected by the degree to which a project has the support of top management. Such support is reflected in an appropriate budget, responsiveness to unexpected needs, and a clear signal to others in the organization of the importance of cooperation. Visible top management support is not only critical for securing the support of other managers within an organization, but it also is a key factor in the project manager’s ability to motivate the project team. Nothing establishes a manager’s right to lead more than her ability to defend. To win the loyalty of team members, project managers have to be effective advocates for their projects. They have to be able to get top management to rescind unreasonable demands, provide additional resources, and recognize the accomplishments of team members. This is more easily said than done. You can read a more detailed article on Managing Upward Relations network building method here. A highly visible, interactive management style is not only essential to building and sustaining cooperative relationships, it also allows project managers to utilize their most powerful leadership tool—their own behavior. Often, when faced with uncertainty, people look to others for cues as to how to respond and demonstrate a propensity to mimic the behavior of superiors. A project manager’s behavior symbolizes how other people should work on the project. Through her behavior a project manager can influence how others act and respond to a variety of issues related to the project. To be effective, project managers must “walk the talk” (see figure below). Six aspects of leading by example are discussed next. You can read a more detailed article on Leading by Example network building method here. Image courtesy of Freepik. Artile source Project Management: The managerial process.